22 September 2018, San Miguel Bulacan – 10 food crawlers joined together to discover the bustling town of San Miguel, Bulacan. We have been so enthralled with this foodie adventure that we hardly noticed the time we’ve spent (in almost 16 hours on the road) not that we are complaining but the whole gastronomic encounter and immersion with the local entrepreneurs and its community is absolute gratifying! 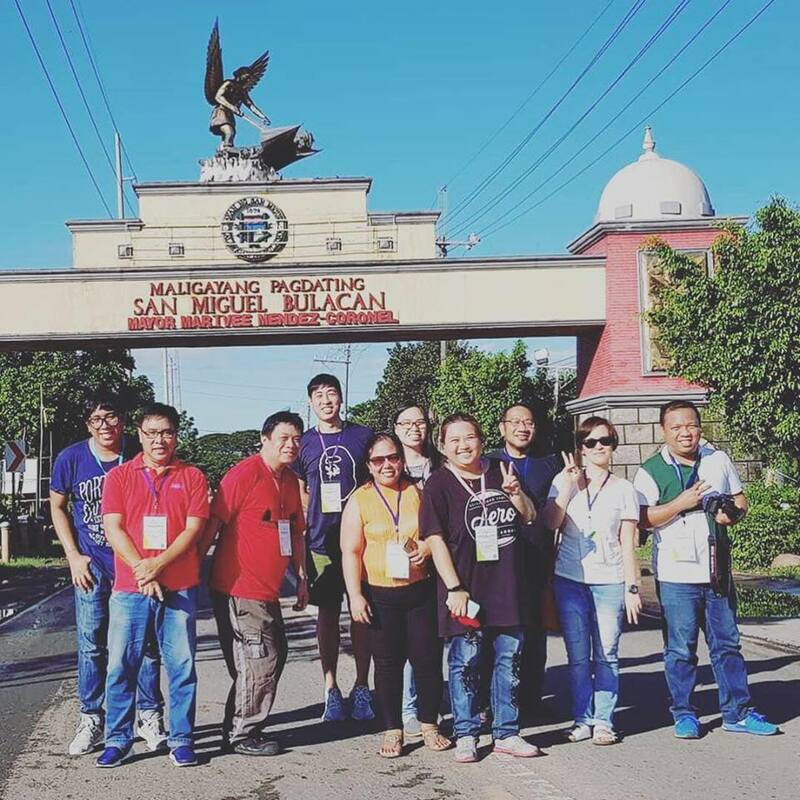 “Visit San Miguel: Good Place. Good People. 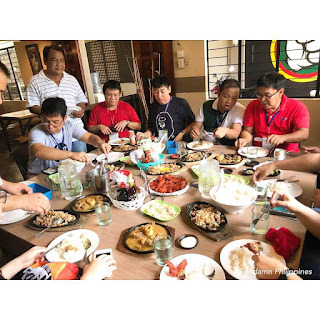 Good Food.” is a Culinary Heritage Tour through a dynamic idea of Arki’s Grill owner Architect Ervin Garcia fueled by dedication to uplift his community he gathered around 10 start-ups and small-scale businesses in the food industry. These connoisseurs are what the youth of today call as “legit” from San Miguel roots. Visit San Miguel: Good Place. Good People. Good Food." BJ SNACK HOUSE. “Gotohan” is a staple quick stop over in most cities within and outside Manila. A goto is a warm rice porridge stewed and flavored with either beef’s internal organs (tuwalya) or pork meat. A hot bowl is served with hardboiled egg, garnished with toasted garlic and spring onion, and flavored with squeezed calamansi, pepper, and patis (fish sauce). But these days Gotohan added a twist by making it overload with different kinds of garnish, actually a goto can be a versatile dish depending on your taste and mood. 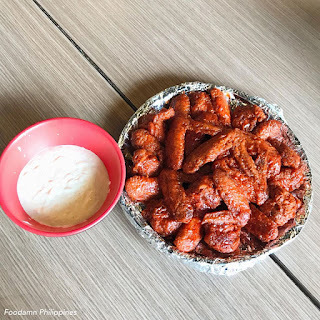 What makes BJ Snack House stand out among local gotohan in San Miguel, Bulacan? 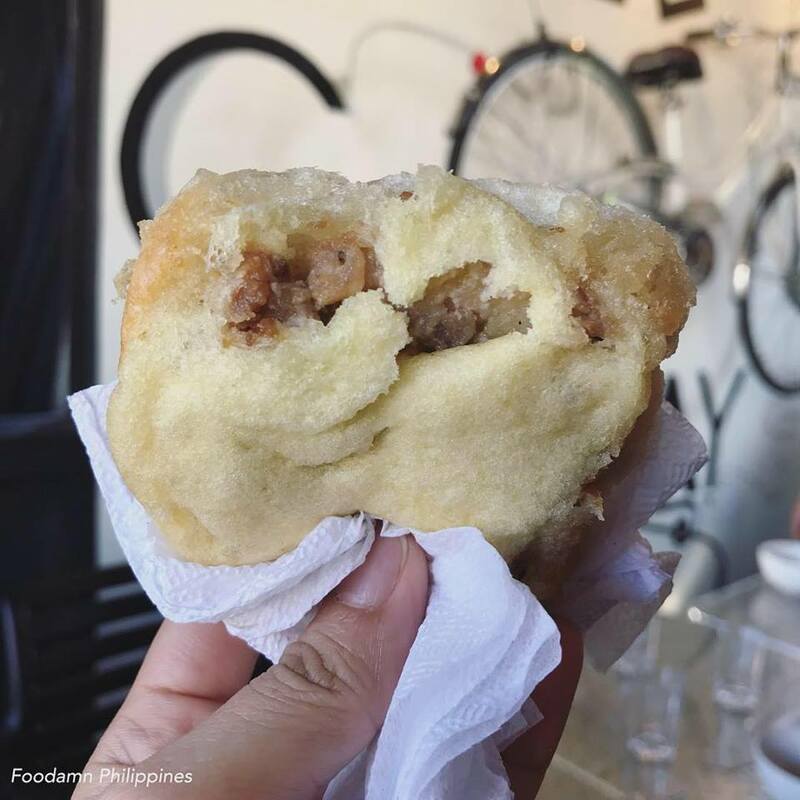 We’ve discovered that their Gotong Baboy is best matched with Pan de Carne. An heirloom recipe from their grandmother, Nana Felicing. In 1979, a couple Vivencio Cruz Chico and Felicidad Ligon Chico established an eatery for San Migueleños, by year 1982 it was re-branded as BJ Snack House when the only daughter Gracita Chico Dimacale took over the management after Nana Felicing passed away. Named after Billy Johnson, the eldest grandchild of the household. In 2007 BJ Gotohan was closed due to unforeseen event. Its “suki” (frequent customers) often asked the family for the original Gotong Baboy. Jam, the youngest son of Gracita and younger brother of BJ sees an opportunity to revive his grandmother’s culinary flair. The management was joined by Jam’s childhood friend Lei, whom he considered Gracita as her second mother. BJ Snack House’s kitchen is under Billy Johnson cooking competence. Together with family and friends, they’ve come together to relive the memories and continue the legacy of BJ Snack House. Unrivalled pan de carne is a French-like made pastry with soft, moist and mild buttered bread with special meat captured our attention. Goto Overload can be dressed with chicharon bulaklak, liempo and fried chicken liver. Another offering they have which caught me by surprised during our visit – the family’s version of buro. I never tried buro even if my father-in-law (a certified Ilocano) cooks this dish regularly, the buro aroma doesn’t jive my taste buds. Lo and behold when Vance and I tried dipping the steamed vegetables with this pinkish dish which we initially thought as Bagoong Alamang, there after this bagoong is somewhat sour than the usual salty anchovies. Now I know why my fam jump with joy when they see a hot buro in our table! ADAM’S PIZZA and SAMARA’S BUKO PIE. 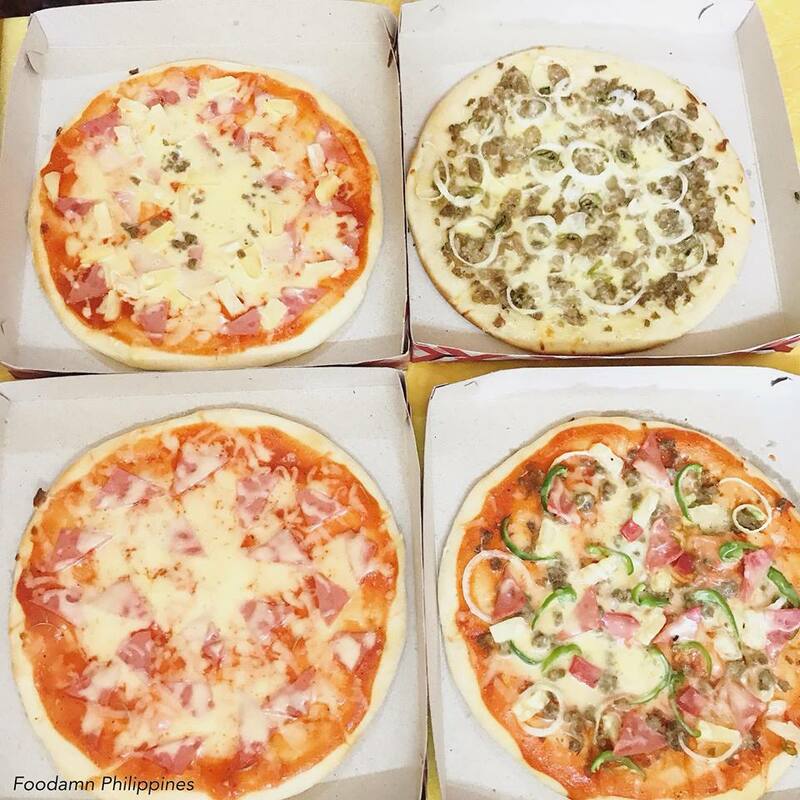 We occasionally craved for pizza similar to 3M’s texture and taste, those pizzas that were like home-baked. On account of its simplicity we tend recall our childhood nibbles. We get to buy pizza nearby packed in a no-fuss carton, race to finished every slice, and we grab hold of every bite. Why? For the reason “kasi masarap.” Adam’s Pizza exudes the same simplicity and appeal. Owned and operated by young entrepreneurs, whom they named the food business after their son and daughter respectively. 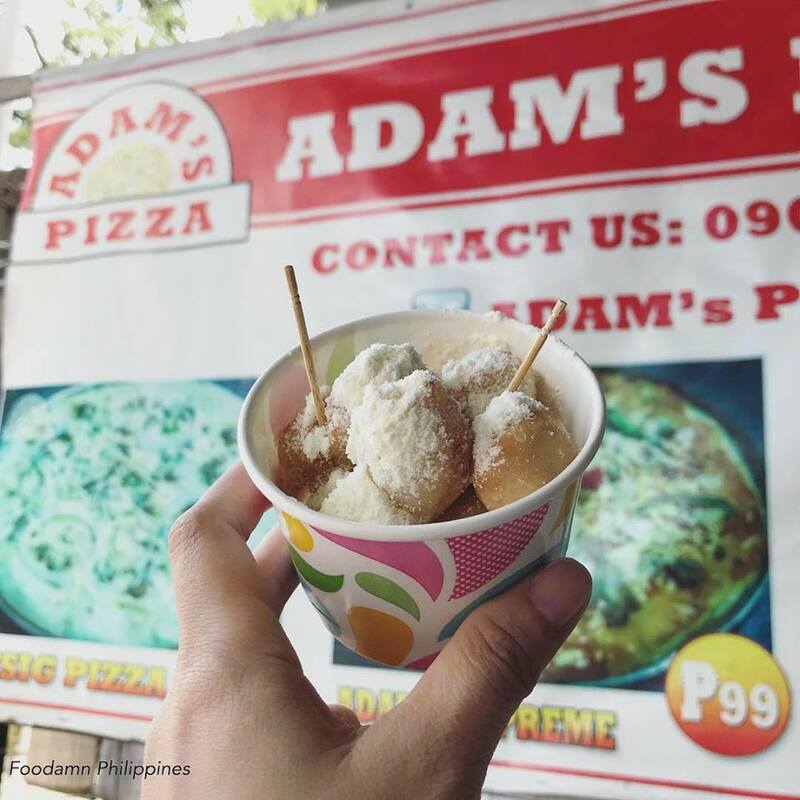 These pizzas and pies are hand-tossed personally by them; another new discovery was the Bicho pops and Bicho sticks – a sweetened fried bread served in hot in a small paper cup. These are great snack for kids I think. 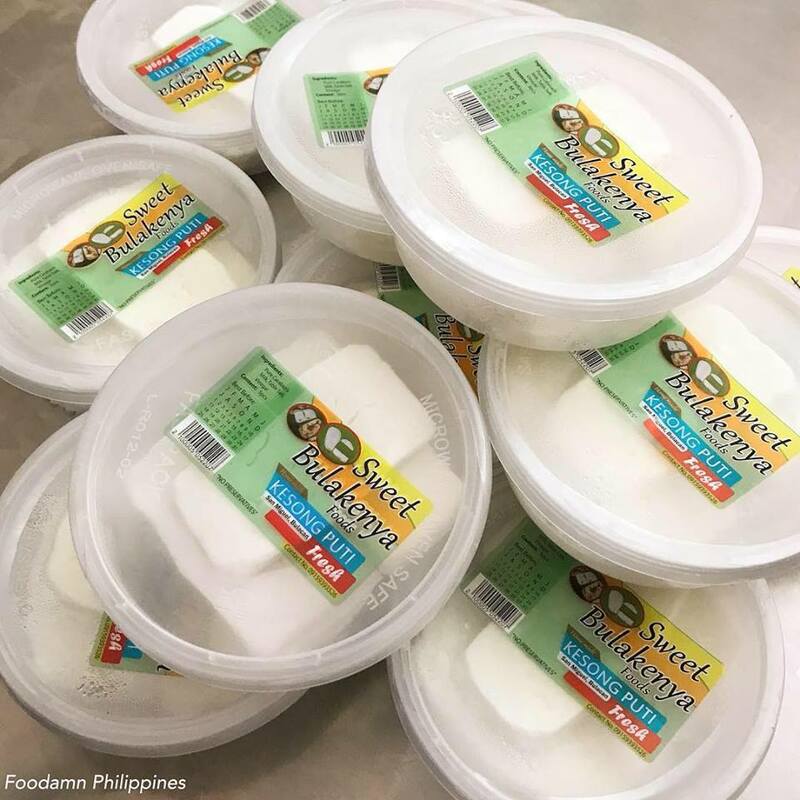 Samara’s Buko Pie are mini pies that can outwit Tagaytay and Laguna buko pie. What’s good about it is the pizzas, pies and bichos are prepared and baked every single day. They deliver it fresh, hot and insanely economical! As a head start, Manabat is currently playing in her backyard kitchen. She accepts online orders and take-out. 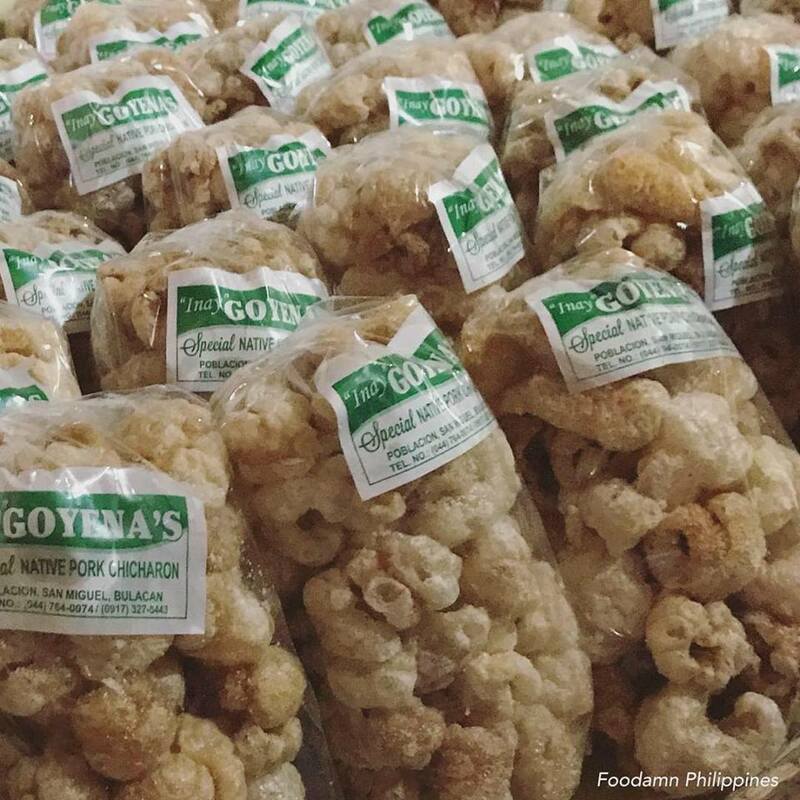 GOYENA’S CHICHARON. When in Bulacan, two food stuff comes in our mind – Chicharon and Pastillas (from gatas ng kalabaw) a popular “pasalubong.” Foodamn Philippines is privileged to visit chicharon kitchen food demo - Goyena’s Chicharon is an heirloom recipe of their Inay Goyena. Their chicharons are known to as whitish in color (noticed the brownish chicharon that is due to the cooking oil used). The owner explained that they change oils on a daily basis. In this sense, the chicharons are guaranteed crispy, whiter and have a longer shelf-life. Pork skin normally undergoes a process of sun-bathing (laid under the sun) at around one and a half hours. Quick fried and cools down before cutting them one by one in mini rectangular shapes. Then these pork rinds are kept in a crate with beneath an absorbing paper. 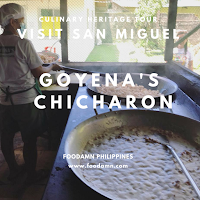 When the chicharons are ready to fry, they stayed in a talyasi (very large frying pan) with pre-heated oil. Minimal frying is done to cast off excess fats (pinagmamantika), these fatty oils are what the elders called as “pupur” which they recycle on other pork dish as cooking oil because of its “malasa” (tasty flavorful) result in home-cooked dishes they made. Another talyasi is filled with pre-boiled cooking oil is set beside the talyasi with chicharon pupur. This is where the real action happens, when they pour down the pre-fried chicharon (soaked in pupur) from here the pork rinds pops out. In a few seconds, the chicharon is placed in a container and garnished with salt, sometimes with MSG (vetsin). THUMBS UP. 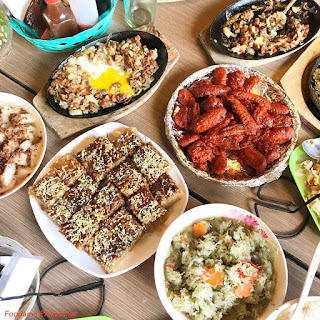 Festive lunch was served by soon-to-be couples, get greasy with this no fuss diner they have enough absolute grub from grilled dishes, kinilaw, and Pinoy native food. The Kinilaw na Tanigue caught our attention as well as the Kalamay with Latik. Have you tried grilled meats in one sitting? You can have them with Grilled Stuffed Pusit, Pork Sisig, and Grilled T-bone steak, you can perfectly match it with home-made atsara. Thumbs Up also offer Rasta Taco’s Signature Buffalo Wings. AMAZING GLAZE DOUGHNUTS and GRABITES. 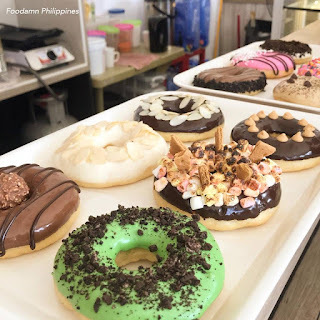 A latest dough player in town, Amazing Glaze uses the same glazing ingredients from its predecessors, though in comparison with the quality, texture, sweetness, whimsical decorations and varieties of Cherlyn Trudis Liwag‘s baked recipes can go against major brands. Her loved for baking was inherited from her grandmother kitchen when she first held a recipe book back in her teens. 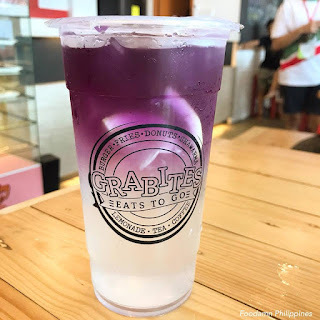 Along with Grabites, her candy-colored pastry shop concocted beverages infused with natural ingredients. CRISTY’S PASTILLAS. 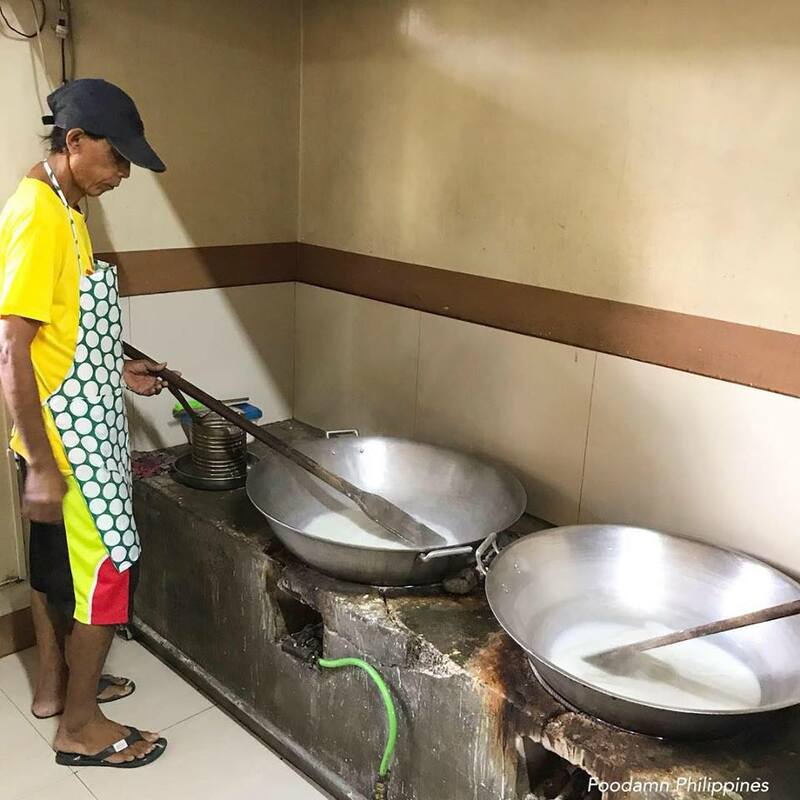 Bulacan’s pastillas will never go out of style, this town is the purveyors of pastillas made from “gatas ng kalabaw.” Processing in batches of Pinoy’s fave sweets undergoes a tedious process. Part of our culinary tour is to see the back-end of how to make pastillas. Cristy’s Pastillas is also an heirloom recipe, Cristina Garcia started it in 1968 and pass it through generations. To date, the brand name is managed by Cristina Abu’s daughter to whom she named it after Claudine, the granddaughter of Cristy’s. The pastillas we’ve outgrown has evolved since the discovery of regular flavor pastillas that is the plain taste of fresh carabao milk swirled with sugar and wrapped in colorful Japanese paper with intricate cut-out leaf design. The practice of paper-cutting Japanese paper with themed design became a seasonal habit of Bulaceños, they offer Pastillas in accordance with Filipino festivities such as town fiesta, May flower events, Christmas, harvest season, etc. 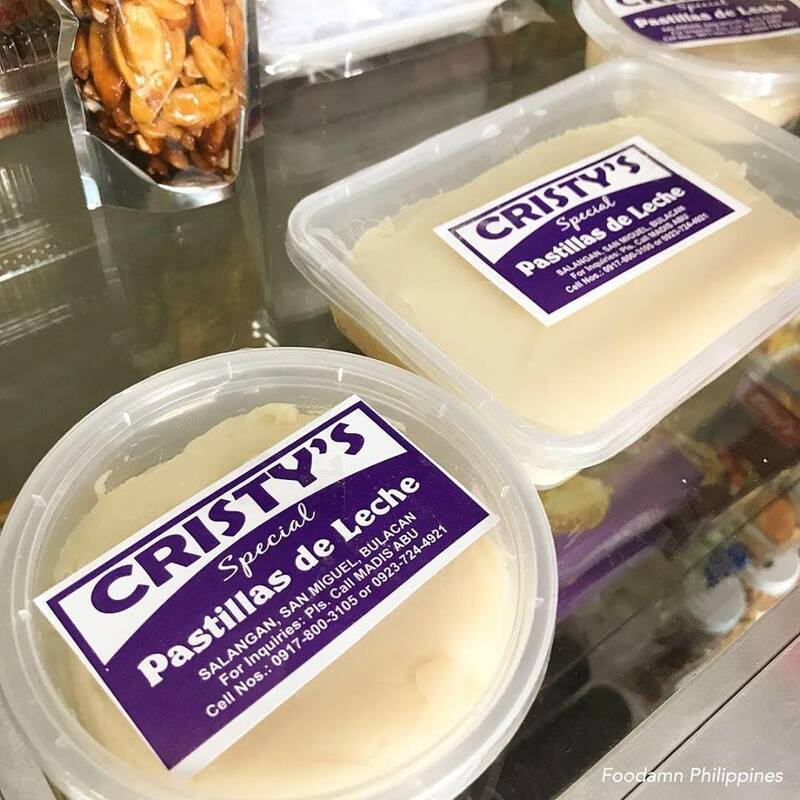 Pastillas makers came up with progressive flavours, Cristy’s Pastillas has an array of product to boast. Pastillas are now available in different flavors: Pastillas de Leche, Pastillas de Yema, Pastillas de Ube, Pastillas de Langka, Pastillas de Dayap (with lime), Pastillas de Keso (with cheese), Toasted Pastillas, Green tea Pastillas, Chocnut Pastillas, Macapuno and Sugar-Free Pastillas. SWEET BULAKENYA. Our culinary tour’s third kitchen sojourn, how to make kesong puti (cottage cheese made from carabao’s milk) is another kitchen hacks we’ve learned that day. Also new on the list, we’ve tried Kesong Puti filled empana and Kesong Puti Nuggets. In 2010, Sweet Bulakenya introduce their home-made products. 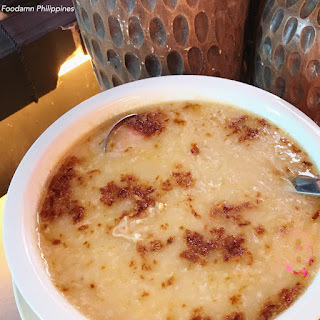 The company has produced a line of desserts and pasalubongs (treats) aside from kesong puti based products, these are: Halayang Ube, Pastilyas de Leche, Yema, Polvoron, gatas ng kalabaw (fresh carabao’s milk) and Native Pork Sitsaron which made its best at different class A restaurants and hotels. Sweet Bulakenya advocates the use of natural ingredients in its homemade products. 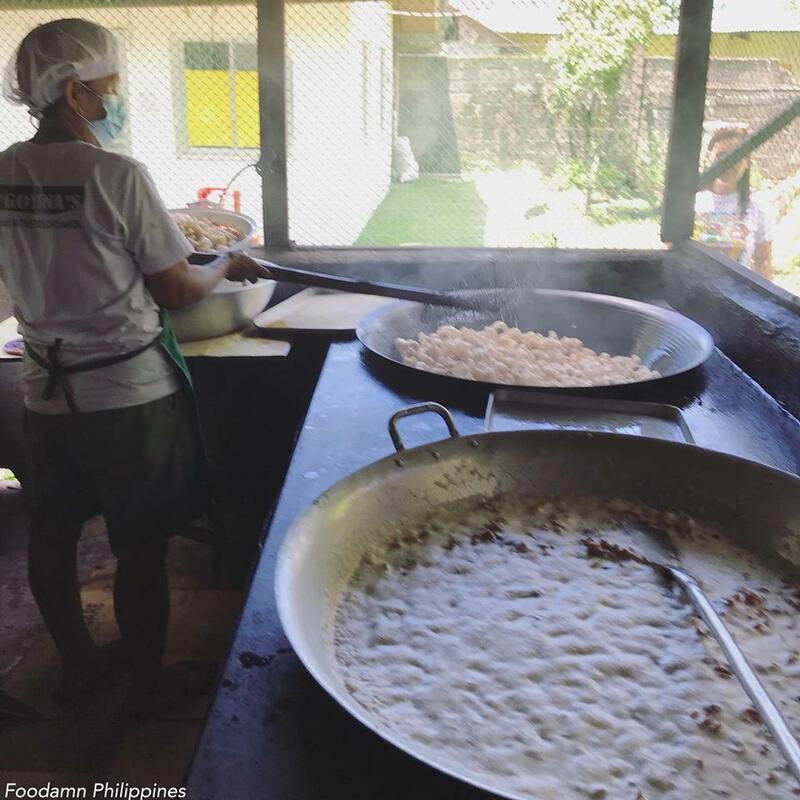 It aims to bring back the traditional food in the warmth of Filipino dishes served in Filipino restaurants and stores. MILKTEA NETWORK. Consumer in the region were not that adept about milkteas. 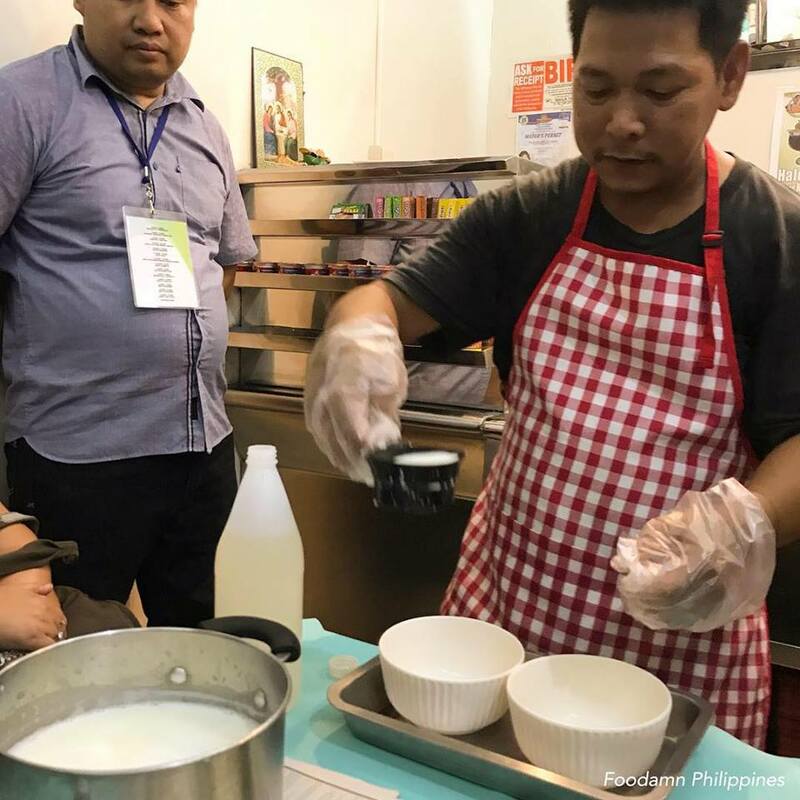 In 2014 Mikey Lipana and Vanessa Yadan, owner of Milktea Network tapped the market by introducing the milktea craze in San Miguel. 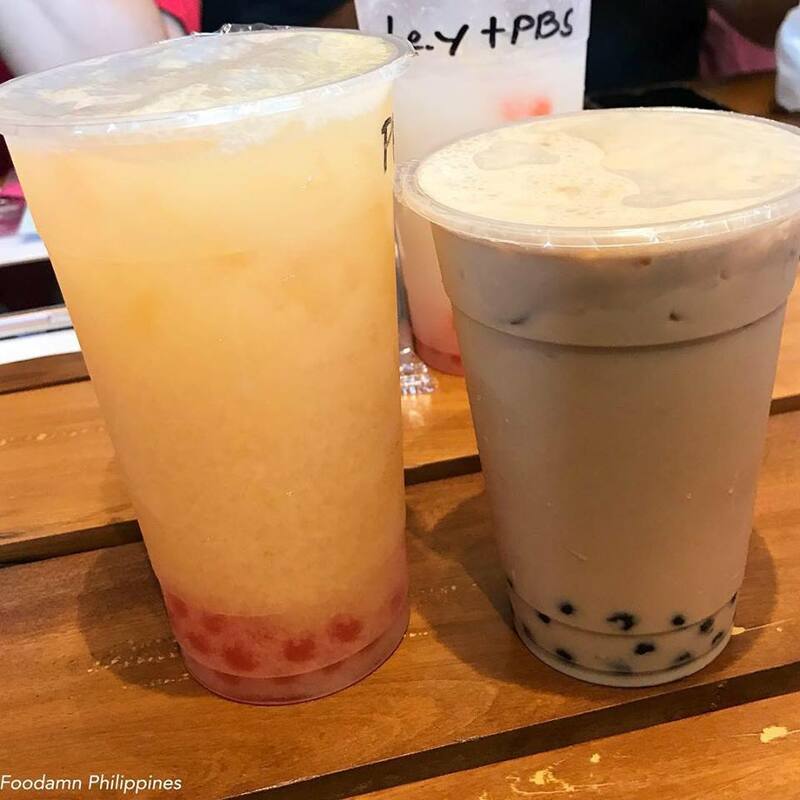 The community responded positively and continues to love their local milktea joint. To make a fair comparison, I tried out one of the flavors I frequently ordered – Yakult Blends in Passion Fruit with popping bobbas. 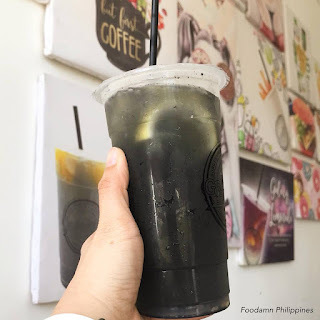 They got the same taste actually, the drinks edge among commercial brands since they are located in the province (although an hour away from Manila) is the price – insanely affordable, almost half of the price from Manila! ARKI’S GRILL. Dining out is never boring with grilled platter and matching DIY cookin’. 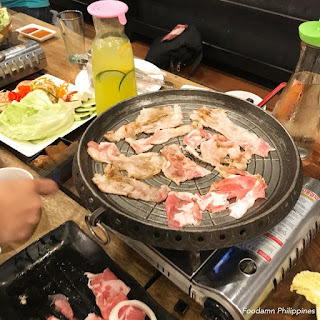 Our group’s finale was held at Arki’s Grill, tables awaits a smoking Thai Mookata and Samgyeopsal gastronomic filled dinner. Mr. and Mrs. Ervin Garcia, the driven couple behind the restaurant is proud to impart with us the “gusto” of Filipino diners by offering buffet style and other authentic Filipino dishes. 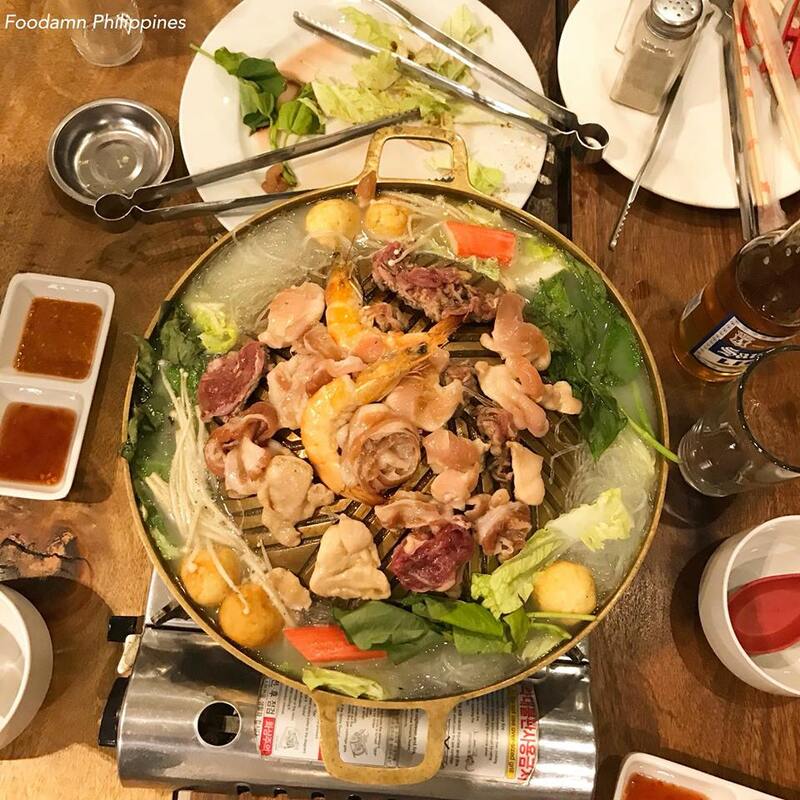 The hot pot and grilling doesn’t hurt the budget, I was told the rate per head is very reasonable without sacrificing the distinctive palate a foodie like us were craving for. The nitty gritty of the menu is under the hands of Mrs. Kat Garcia. Mr. Garcia is an architect by profession hence, they named the restaurant Arki’s Grill. The local grill place is a one-stop destination when you pass by Salangan Street, both great for family, friends, or group of travelers spending time in San Miguel. 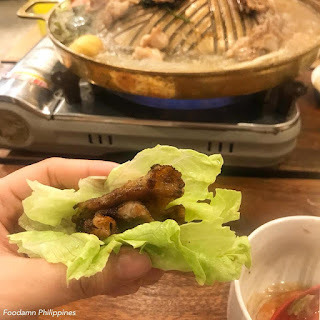 They have everything under one roof from: Silog Meals, Sizzling hot plates, Boodle Fight, Samgyeopsal and those looking for comfort hot stew such as Singang, Ramen, Noodles, Bulalo, Shabu-Shabu, and Thai Mookata. They got you covered with beverages to booze played with live music. "Visit San Miguel!!! Good Place. Good People. Good Food." 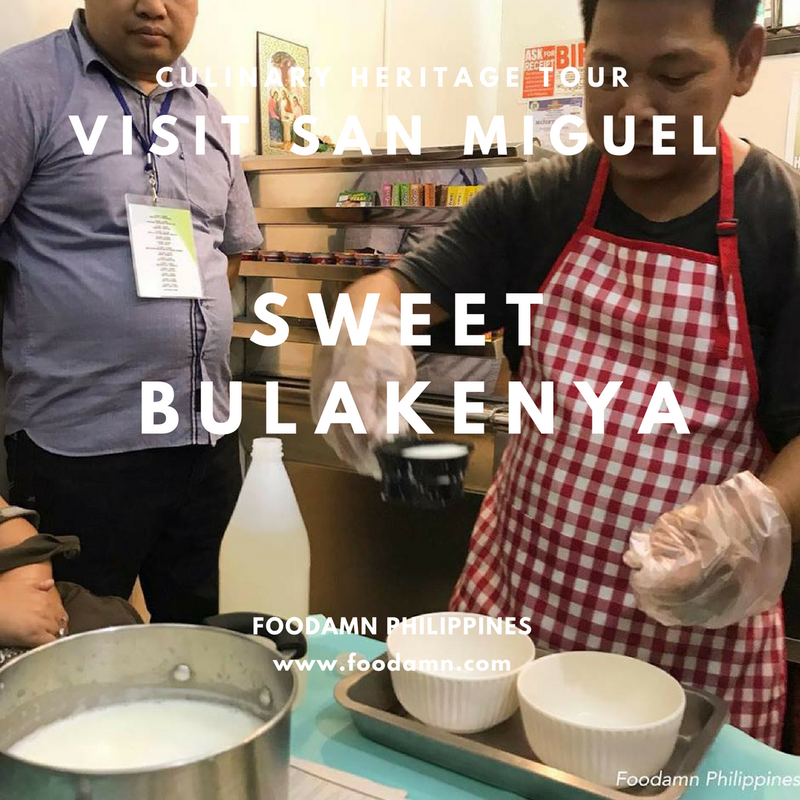 Foodamn Philippines would like to thank Rence Chan of Walk with Chan and Architect Ervin Garcia for organizing a Culinary Heritage Tour. 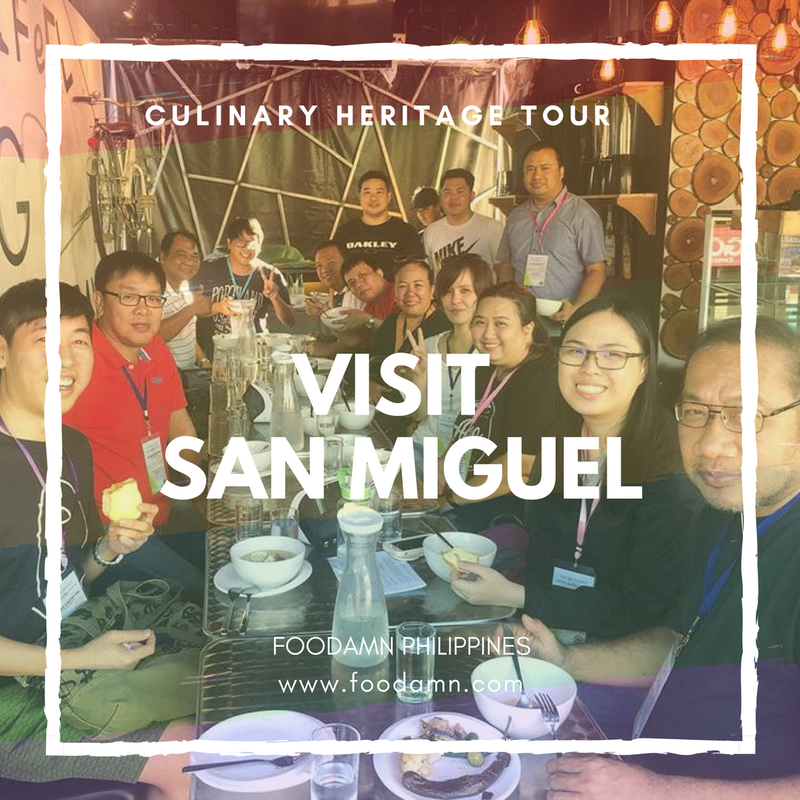 May San Miguel food industry continue to flourish share its hidden culinary gems. Consequently, the culinary tour of the media and bloggers served as a point of reference in reaching out with the community of San Miguel, its start-up and existing local entrepreneurs. Thank you San Miguel Bulacan! Foodamn Philipppines receives products in order to conduct reviews. No monetary compensation was provided unless noted otherwise. All opinions are 100% my own and/or partially based on Press Kits. Some posts may contain web links in exchange for payment. In the event of a giveaway, the sponsor is responsible for delivery of the prize, unless otherwise noted in the posting. I only recommend, discuss, or introduce products/services/businesses I personally use and believe will be a good fit for my readers.